Best Things in Beauty: Who is Charlestongirl? And my best to you! I really missed your blog. Hi Charlestongirl, I’m glad to hear that you have established some sort of routine related to your recovery and the rebuilding of your home! I don’t want to trouble you, but I just had to comment. When you receive your Guerlain and Chanel packages, you might want to store them in a friend’s home for safekeeping if you can. My mother was in a rehab facility after a fall, and she had numerous items stolen by the workers. We could never prove anything or recover anything, regardless of how much we escalated the situation. The items weren’t even terribly valuable: socks, track pants, shirts, homemade treats, you name it. And it was a nice facility, too. Fine cosmetics would be very attractive! Again, I sincerely don’t want to bum you out. Just be careful. I have followed your blog for many years. I am so sorry to hear this happened to you. I can’t begin to understand how you must feel about losing so many of your things and having your home destroyed. Yes, blogging has changed. But there are still people like me who don’t really follow Instagram and would prefer read a well informed review by someone like yourself. I have always found your reviews very descriptive and helpful. In addition to rebuilding your home you can rebuild your blog to reflect what now best suits you. With so much to do from literally the ground up it's wide open and certainly not limited to makeup and fragrance now. I want to hear what it's like to begin with furnishing and designing how you want your new space to be, I look forward to hearing about moving forward after having gone through what you have; far more interesting than the latest "launch" that will get plenty of promotion! Wishing you and Charlie a lovely happy summer. I am so glad that you are healing and looking forward to designing your home. Your blog is the only one I read given you focus on the beauty products and what they can do to enhance a woman's beauty. Other blogs are all about the blogger's current pouting selfie and the remarks are useless. Whomever issued the invitations to the store's event was remiss in not sending yours. I wonder if they thought because you are not writing as much that you were no longer interested in beauty products? Always remember there are people who will appreciate and value your support, especially when you are ill; maybe this group was only interested in your promoting their brand. I am so glad you are going to stay in touch with us! I'm so deeply sorry to hear about your devastating loss. I know it must be completely life-changing. I hope your recovery and rebuilding process goes well. I'd love for you to keep blogging. In a sea of cookie-cutter blogs and reviews, it's refreshing and special to have reviews done in your style, in your way. Keep your head up and know your content is enjoyed and appreciated! My best to you. I had cut down my previous blog reading list to just a few - yours being one of them. How lovely of you to keep us updated on what us happening with you. Makes it personal. It feels like hearing from a friend. Looking forward to more updates - hopefully more improvements for you. My Best to you always and glad that you are getting back to somewhat normal. You have been missed and I am looking forward to your return. Sad for your home... glad to read you again ! Courage ! Nowadays, it seems like the personal blog, the blog as hobby, has gone the way of the dodo bird. There are so few authentic voices left in the blogosphere and that’s a shame because, even though many of those early blogs were not slick or professional, they were honest and reflected the interests, concerns, tastes and styles of the actual bloggers rather than the advertising goals of corporate sponsors. 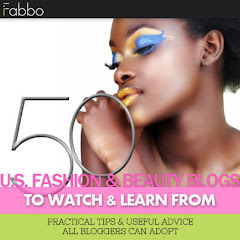 Reading those personal blogs and having a dialogue with the bloggers and their other readers was like sitting down with friends to share beauty news. It was such an enjoyable way to spend a bit of time and I miss that. I’m as interested as ever in beauty, but there are so few blogs that I now read because of the obvious monetizing of them. One of the greatest loses in the shift from the personal to the professional was Best Things in Beauty. We miss you, dear Charlestongirl. I was so happy to see a post from you, but then shocked at the events of your life! I'm so sorry you are going through this... but you and Charlie are fine, thank goodness. I can only echo what everyone else has said. I always enjoyed your blog: Your aesthetic was right on point with what I found desirable in beauty products. I took many of your recommendations and did very well with them. One of the posts I loved was about Chanel's Notorious. I bought it based on your recommendation, and am so happy I have it! But... it's barely visible on my skin! I tried it once or twice, sighed, and then placed it into its velvet case, gently into the box, to be opened at a later date. Every now and again, I open the box, look at it again, and sigh some more more, because it's going unused. I know how much you enjoyed Notorious and would love to send it to you, in thanks for all of the hours of enjoyment you've given me, and as a fun 'pick me up'. Because it sounds like you could use a fun gift, and really, isn't fun what beauty products should be? Please email me at aol.com and let me know. I think you will give it a far better home than I have. I was just googling some makeup (Armani Eyes To Kill Eyeshadow to be exact) ) and found swtaches on your blog - exactly like 5 years ago when I discovered your blog (I don’t remember what I was searching for back then). Back then I rediscovered my passion for makeup, after many years of disinterest, through your reviews and your love for everything beauty. Your words and honesty made me curious to try things and brands and I never stopped my love for makeup ever since. You can’t imagine my surprise and joy to see new posts from you today only to be shocked and saddened by what you have been going through. I am so so sorry for the tragedies you had to suffer but I am relieved to hear that you and your beloved Charlie weren’t injured and that you have hope to live soon in your new home again thanks to this amazing insurance company!!! I too have followed your blog for years, but this is my first comment! I had to tell you how much I love your blog. I count on your authentic advice. You've introduced me to brands that I've come to love, and you were honest when products/colors were disappointing. I've noticed the new crop of bloggers refer to themselves as marketing "influencers" and I'm not interested in commercialized advice. I feel like they've sold out. If and when you're ready to "come back" please don't conform! I am excited for you to create your home again and would love to follow you on that journey if you choose to share it with us. I can only echo to what has been written by others. As one who has read all your blog, I do miss your thoughts and reviews. Please come back, and start writing again. Courage and best wishes to you as you continue to re-build your new life. Makeup and skin care products can help you feel and look your best as you meet new challenges. If it affirms life, why not enjoy these products? one of my favorites blogs of all time ever since i discovered way many years ago i could not remember, simple and sophisticated thats how a real blog should be and yours is one of the best i know. You should try to feature some of the choices and picks for your new home. I love that kind of stuff, others may too! Long time reader, first time commenter (on any blog!). I am so sorry to hear of your recent trials. Truly, you have been through a lot and I hope things are starting to look up for you. I found your blog years ago when looking for swatches/reviews of the Chantecaille Sea Turtle Pallette, which I ended up buying and using on my wedding day. I adore it - I just need help finding dupes for some of the colors that are no longer available, which is how I ended up back her today- looking for eyeshadow swatches. 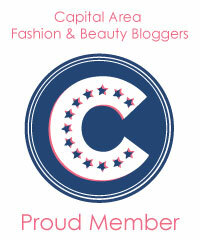 I just wanted to tell you that your blog is the only beauty blog I ever enjoyed and found useful. It's unfortunate that this is the age of the influencer, but there is still a need and appreciation for true, honest, beauty blogs like yours. If you decide to continue with it, you'll always have a loyal following of readers!